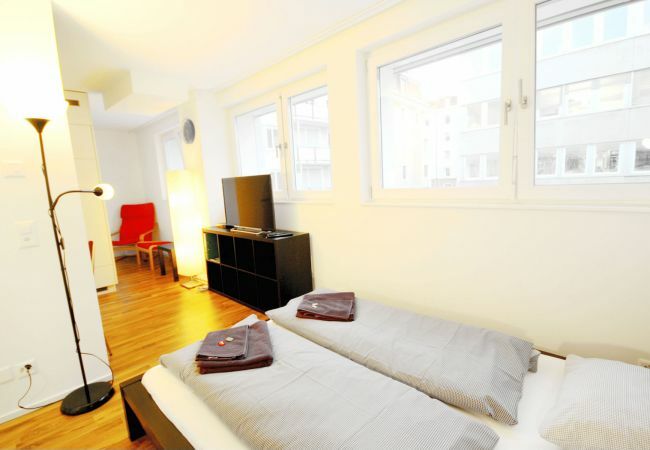 Comfortable studio apartment in Zurich Oerlikon including Wi-Fi, TV and much more. 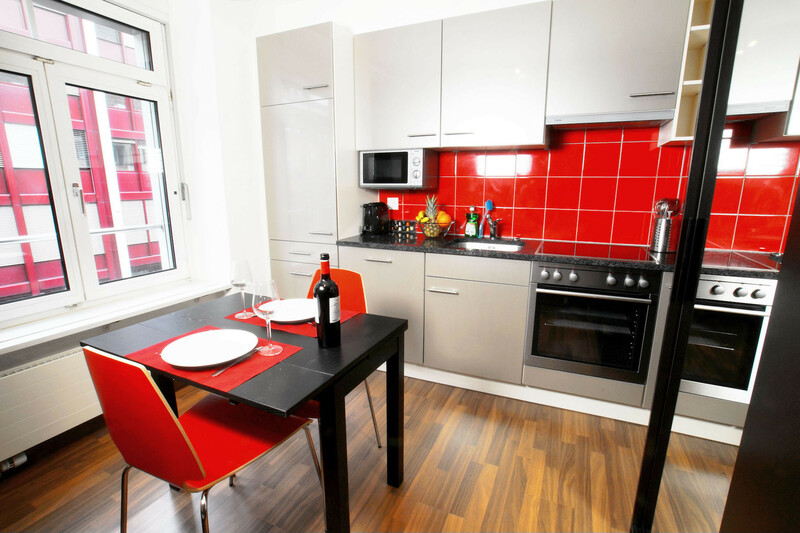 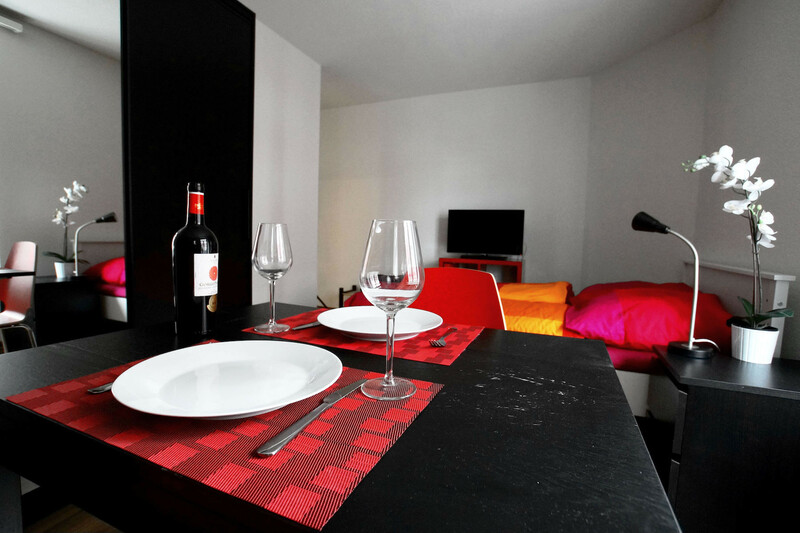 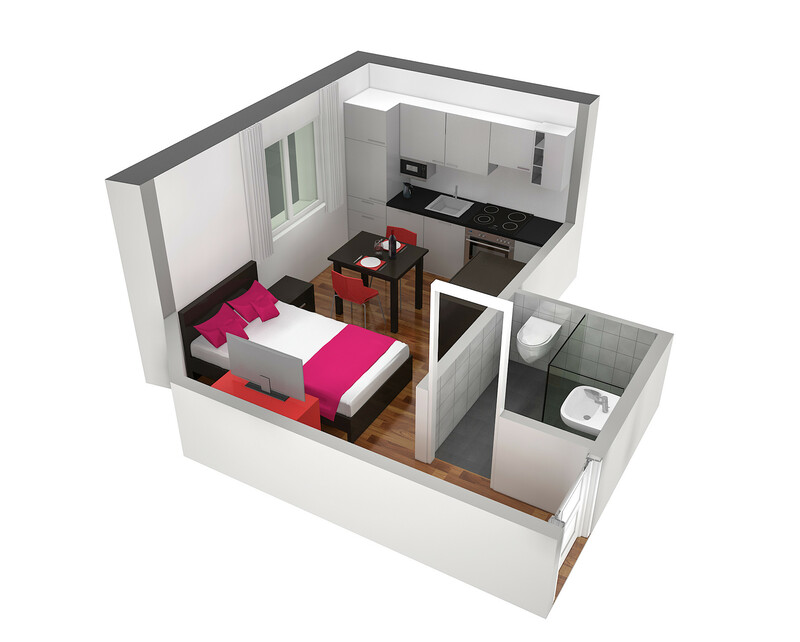 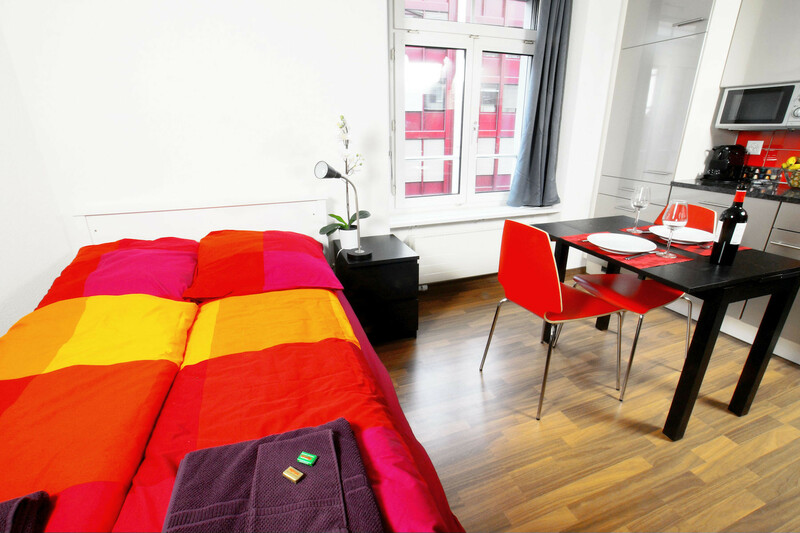 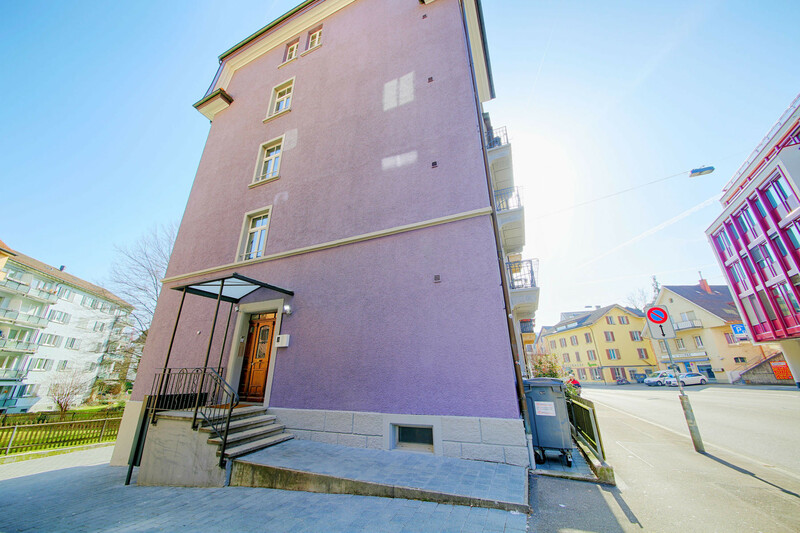 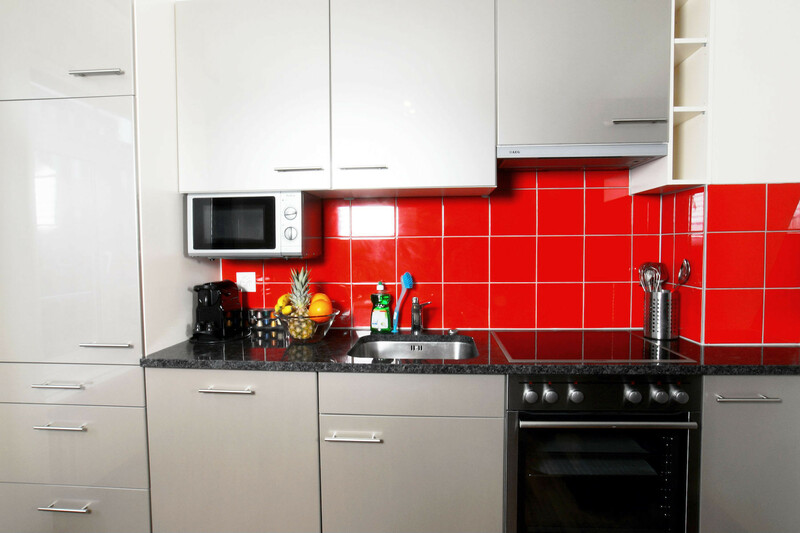 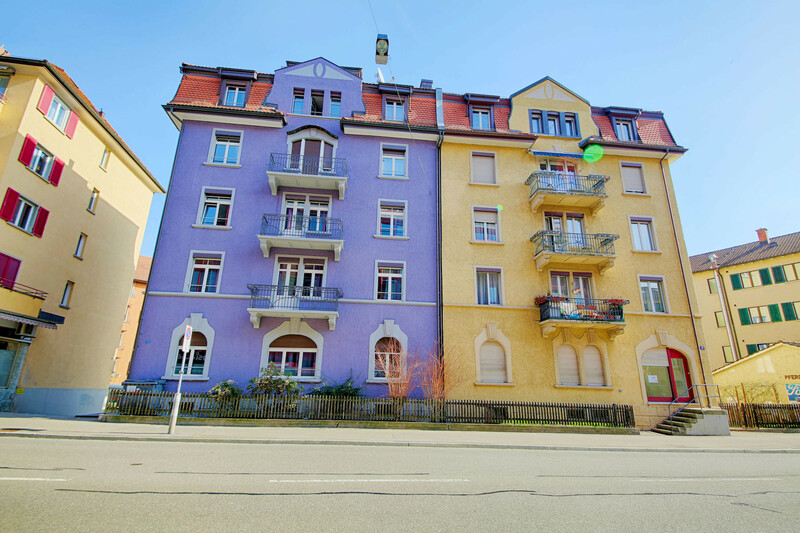 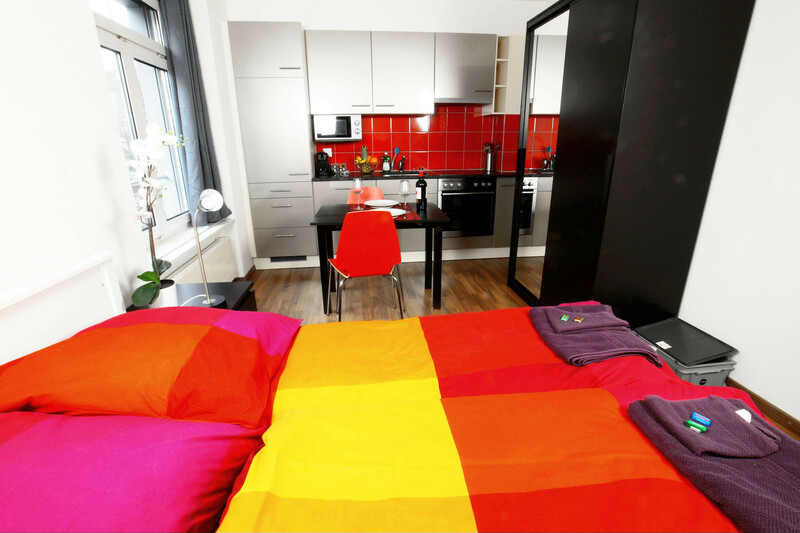 The Studio Apartment called "Cranberry II" is a solution for your business stay in Zurich. 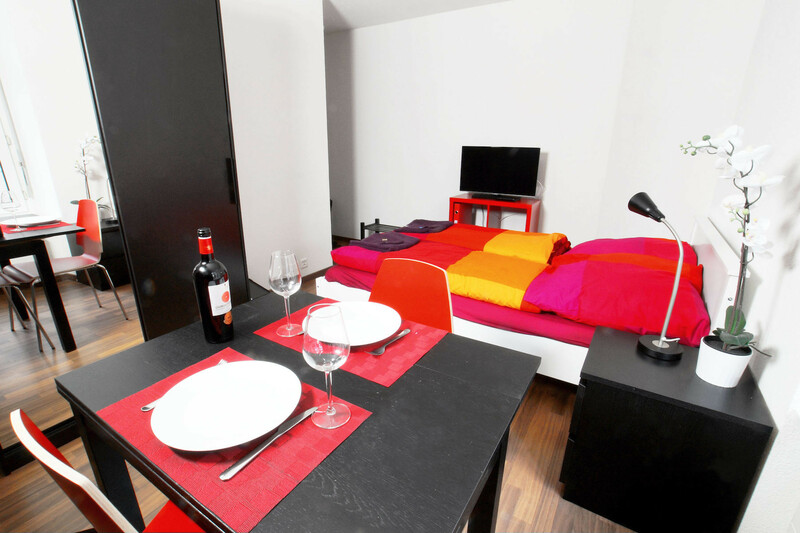 The furnished studio apartment has 1 room and offers the highest living comfort on 18 m2. 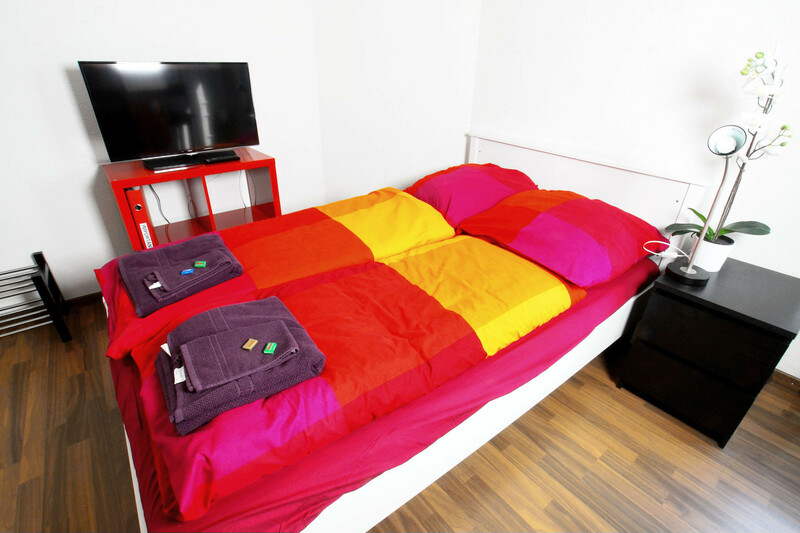 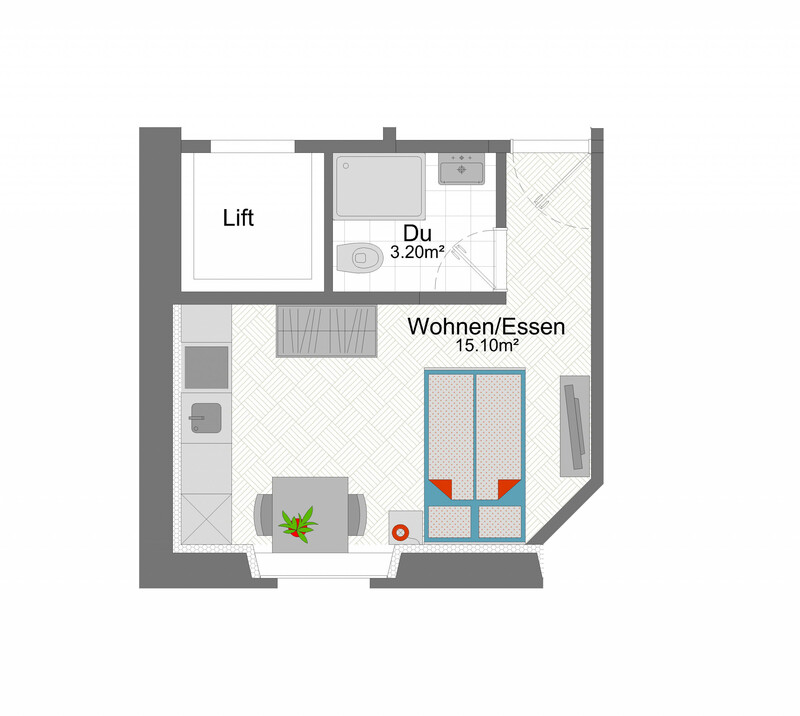 The studio in Zurich Oerlikon can accommodate a maximum of two people, has a spacious living/bedroom with double bed and its own fully equipped kitchen. 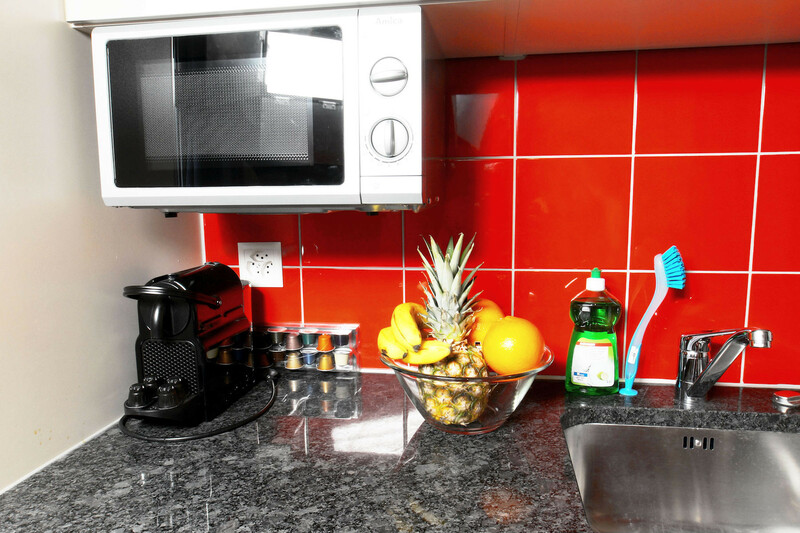 The bathroom offers beside the usual equipment with shower and WC also hygiene articles and a hair dryer. 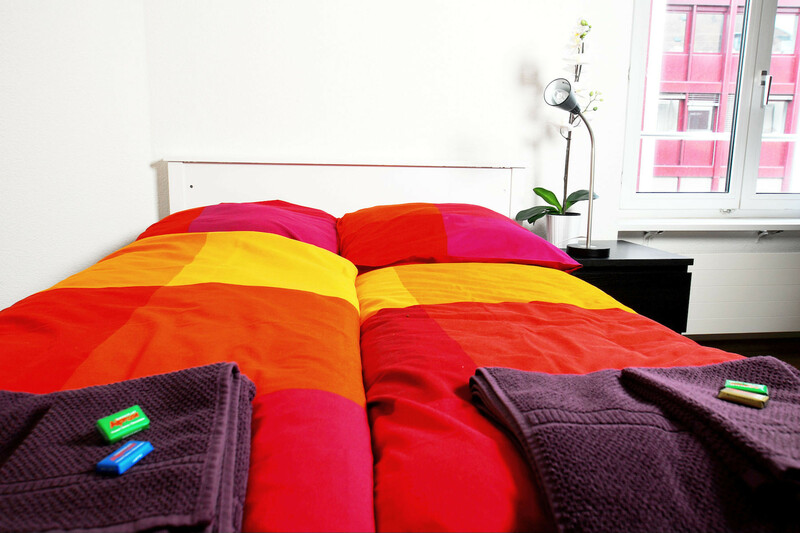 Our service includes everything you need for your business stay: Wi-Fi internet, television, washing facilities, bed linen and towels as well as monthly cleaning for stays longer than 45 days. 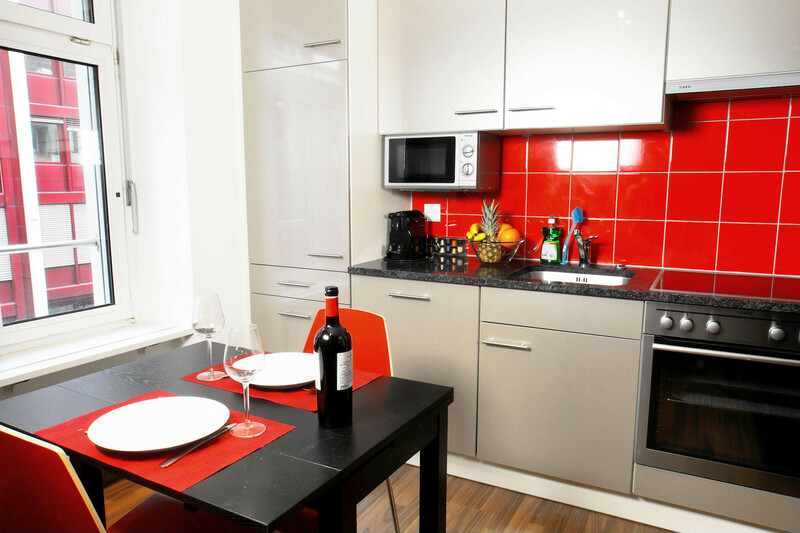 A parking space can be rented for a monthly surcharge and subject to availability. 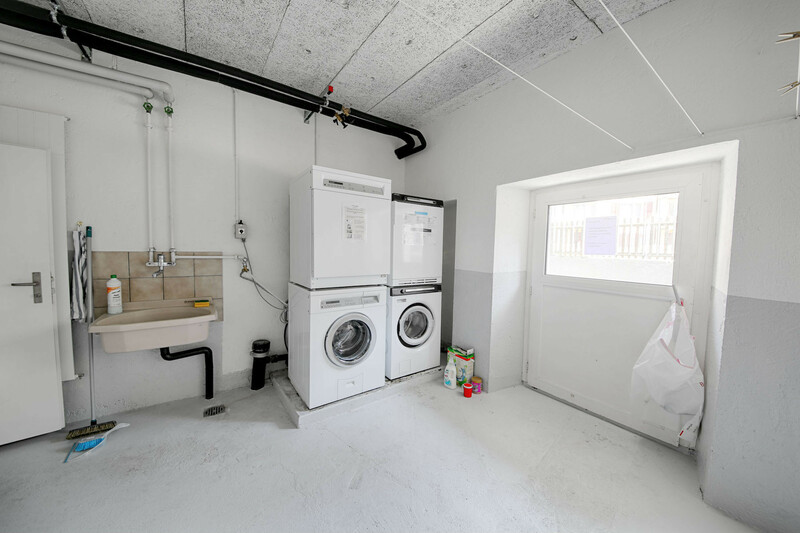 1 TV, TV Satellite (Languages: Spanish, English, German, French, Russian), Stereo, 2nd floor, lift, iron, internet (Wi-Fi), hair dryer, 18 m² property, pet-friendly (Dangerous breed dogs not allowed), central heating, 1 fan.